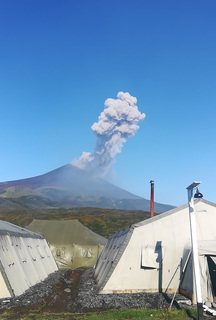 The Institute of Marine Geology and Geophysics FEB RAS summarized data on volcanic activity in the Kuril Islands in 2018. An expanded version of the report will be presented at the III All-Russian scientific conference with international participation "Geodynamic Processes and Natural Catastrophes", which will be held in Yuzhno-Sakhalinsk from 27th till 31st of May 2019. On October 29, an excursion was held at the Institute of Marine Geology and Geophysics of the Far East Branch of the Russian Academy of Sciences as part of measures to popularize scientific knowledge among the population. This time the participants were the students of the Golden Autumn National University, organized by the Sakhalin regional branch of the public organization - the Knowledge Society (chairman of the board - Agarkova Tamara Vladimirovna). A monograph “Cranberries in the south of Sakhalin Island” was published at the Institute of Marine Geology and Geophysics of the Far Eastern Branch of the Russian Academy of Sciences. 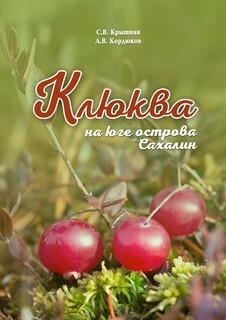 The authors of the book “Cranberries in the South of Sakhalin Island” are employees of the laboratory of coastal geosystems of the IMGG FEB RAS, Svetlana Kryshnyaya, a research engineer (she worked at the institute until November 2016), Alexander Kordyukov, Ph.D. in Biology, researcher. Reviewer - O.ZH. Tsyrendorzhieva, Candidate of Biological Sciences, Associate Professor of the Department of Geography, Ecology and Natural Resources of the Institute of Natural Sciences and Technosphere Safety of SakhSU; Executive Editor - V.M. Eremin, Doctor of Biological Sciences, Professor, Department of Ecology and Nature Management, SakhSU.